I’ve been out of college for several years now, and I can confidently say that I make a full time living as a jazz musician. Meaning: all I do is music to survive, and 95% is specifically jazz related. Now believe me, I don’t say that in a braggadocious way. Am I wealthy? Of course not. Do I have to be particularly careful with my finances? At the moment, yes I do. Do I see an increase of income in my future? Absolutely. But for me this was never about the money anyway. I think I can speak for most other artists of different kinds, and say that we all got into our art for the pure love of it. If money was a top consideration, surely we would have run far, far away from the artist lifestyle. There is no sugar coating it. Making money off of art can be a real up-hill climb. There are very few slots available at the top of the musical food chain, and far too many people fighting for them. And I do indeed feel fortunate. When I wake up in the morning, sometimes I have to pinch myself to make sure it’s true that I get to do music stuff all day. I certainly have a lot of teachers, friends and family to thank for where I am today. 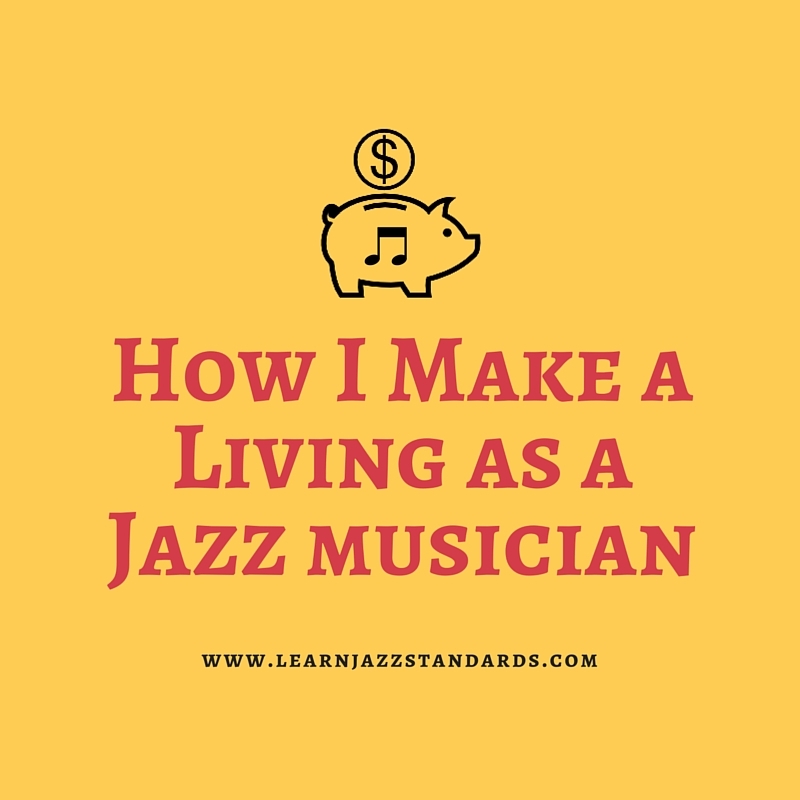 I have learned a lot so far about how to make a living as a musician, and I write this now because I’m positive that in 10 years I will have much more advice to give. 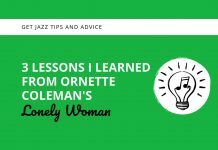 I’d like to share with you some insights I have gained, and how I’ve come to make a living as a jazz musician so far. 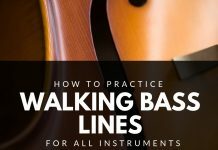 I hope some of this will be interesting to you (if you have no desire to pursue music as a living) or helpful to you (if you do want to pursue music as a living). First, let me start with asking myself a question. I believe this question will offer a lot of insight to where I was and where I am now. Q: 8 years ago, what did you hope you would be doing today? A: Touring the world, playing gigs, maybe teaching some students. That’s right. I wanted to be a jazz star! You see, 8 years ago (about how long ago I dedicated myself to becoming a jazz musician) I was an obsessed, practicing maniac. I would practice for endless hours everyday, constantly listening to jazz music, and I did everything my teachers told me to do. I was a jazz crazed, passionate, fiery, musical dreamer. I reached for the stars. I was obnoxiously serious about my pursuit of a successful musical career. In my heart, I felt that if I just practiced hard enough, wanted it bad enough, I would become like all of the musical heroes I look up to. 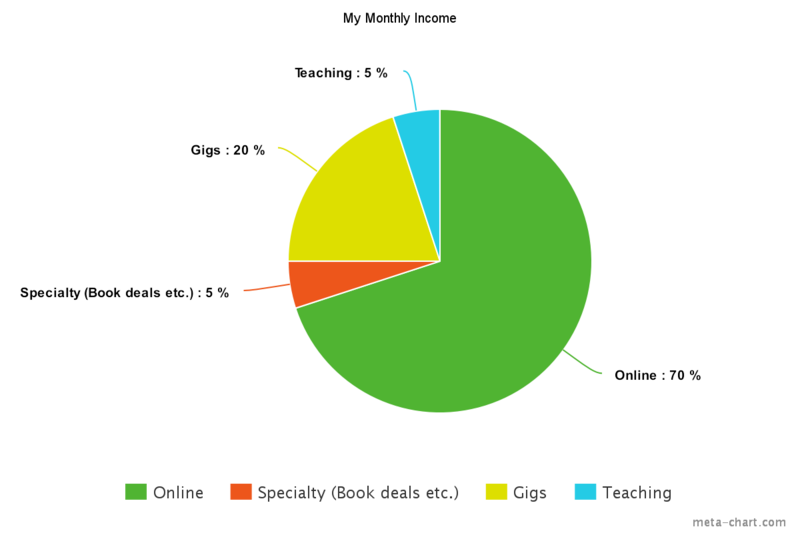 Now consider my answer to that question, and compare it to this chart of how I make my income as a musician now. I am not a jazz star. I make most of my money from a source I wouldn’t have imagined 8 years ago. Let me quickly go over them, so you can get some context to what these different income streams are. Teaching only makes up 5% of my income at the moment. In the past I have done a lot more teaching (private lesson studios, after school programs), but right now it’s pretty much just Skype lessons. Normally, these students find me from this website (learnjazzstandards.com) and stumble onto my personal website to inquire about lessons. So in a way, my teaching right now comes from my online presence, which makes up a majority of my current regular income. We’ll get to that in a second. Playing gigs makes up roughly 20% of my regular monthly income. Now the tricky thing about gigs (at least for me) is it’s either feast or famine. Sometimes I have a lot of gigs and I’ll rake in a lot more than 20% in a given month, other times gigs are scarce. That’s why the 20% I’ve listed is really only gigs that are consistent, and I know come around every month. I’ve noticed different seasons can be more bountiful than others. For example, December is always a good month for me with holiday parties and such. Now I mostly tend to play casuals, but sometimes I pull in really high-paying gigs. For example, two years in a row I played for some conferences that really dished out. The lesson here is: gigs are not usually a reliable source of income. I’ve included this category mostly because for the last few years I have had book deals with Hal Leonard. I have had other kinds of things come my way, but I define specialty as any higher paying gig that requires a unique skill in the field. I break down my payment for these kinds of gigs into monthly income spread out over a year, which leaves me roughly at 5% or less. This is my bread and butter, and if you would have asked me 8 years ago if I would be doing this, I would have said no. Essentially I find myself making most of my living in the realm of online jazz education. Most of my online income comes from this very website. We make money a number of ways. 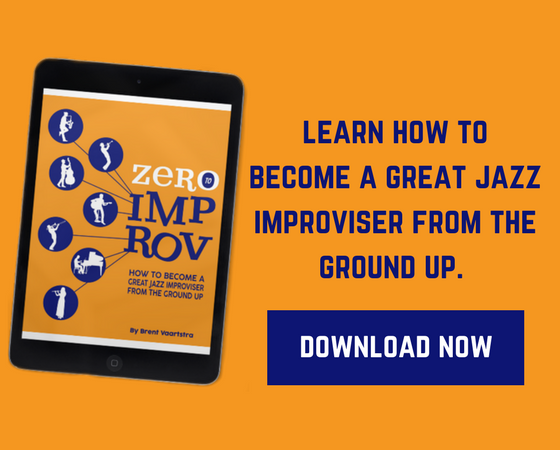 Just to name some: selling play-along albums for practicing with, eBooks like this one, Google advertisements and private advertisements (though you can help us get rid of these pesky ads if you want!). So there you go. These are my current income streams from music, and for the most part jazz. These are not the only income streams a musician can have. These just happen to be mine, and are the fields that I have been getting my feet into. Act like a musician, think like a business man/woman. This is probably the most valuable knowledge I have come to learn in my career thus far. I know so many struggling artists and musicians. Some of them are talented beyond belief yet they just aren’t able to make it. Why you may ask? Because talent alone will not guarantee you success. There are so many talented people in this world. There will always be someone more talented than you, fighting to take your seat. If you want to do music for a living, you have to start considering your music as a business. Believe it or not, that might mean getting out of the practice room and start promoting yourself. It doesn’t matter what avenue you take, you will need to start treating your music first and foremost as a business if you want to make a living at it. Otherwise it’s just a hobby (nothing wrong with that!). Be open to different possibilities and opportunities. No, I am not a jazz star. No, my career has not taken the trajectory I thought it would. Am I sad about that? Not even slightly. Sure, I still would love to improve my performance career, and I still am. After all that’s what most of us got into music for; to play. But what I have discovered is my talents and my ambitions are not limited to that. When my friend Camden asked me to help him work on LJS around 5 years ago, I thought it was just a little side gig. A “why not?” kind of a thing. But as I delved more into blogging, and building this jazz education resource, I discovered that I got a lot of energy from doing it. It excited me. I realized that it thrilled me to create jazz products that could help other musicians. I got a lot of joy from waking up in the morning and rushing to my computer to check stats. 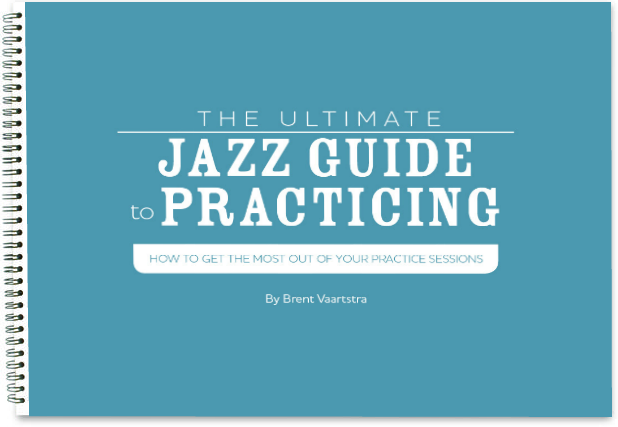 I never would have imagined that I would be writing jazz instructional books for one of the biggest music publication companies in the world. It’s ironic, because quite frankly I didn’t learn how to play music out of books. But when the opportunity first came knocking at my door, I said “why not?”. Now it seems I have entered into a music industry I wouldn’t have known I could be a part of. I simply allowed myself to be open to it. Don’t limit yourself, because your music has the potential to take you to places you couldn’t have imagined. Ask yourself: What am I good at? What can I offer? How can I maximize the talents that I have? If you want to be an educator and teach children at schools, that’s great! I hope you pursue it. There are many musical career paths that can lead to stability and certainty. But if you have it in you, if you have the drive, become an entrepreneur. 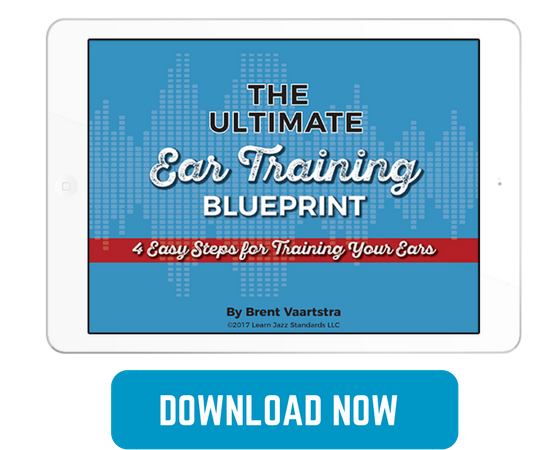 Use your musical talents and expertise to create a business. To survive in this tough modern musical climate you need to think outside of the box. Ask yourself those important questions, and maybe you can offer something to the musical community no one else can. That’s all for now. I look forward to sharing more with you along the way!